Lisa E Design Blog: 5000 Subscriber Celebration giveaway! If I won, I would like the Mixed Media package please. I follow you on A) Youtube. Thankyou for opening this up internationally. Merry Christmas and a Happy New Year. If I win I would love the card kit following you on FB and You Tube. I found out about you on ACOT. I am excited to watch all your videos. Thanks for a change to win. I also subscribed by email. If I won I would like the scrapbooking/card making kit. So far I have only followed you by your posts on the 2PeasRefugees forum. I will head over to YouTube and subscribe to your channel. Hopefully that will help you hit 5000. I prefer the scrapbook/card kit. I found you on you tube. I liked your sketches so much, I purchased your 2014 Sketchbook. 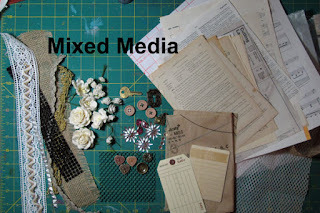 I would love to win the mixed media kit. I keep up with your channel through YouTube. You are just awesome! I would love to win the win the mixture meda set. I am follow you on you tube and i also subscripe to your news letter via email. Merry Christmas! Congrats on 5K! I like the cardmaking kit, but mixed media also looks nice. I follow your video on youtube. I found your channel searching for ideas and enjoyed your video so I subscribed. Thank you for sharing your ideas and creativity! Thank you so much for such a wonderful give-away! And for opening it up to international people (like me!). I follow your blog and subscribe to your newsletter ... and just the other day I also subscribed to your YouTube channel - to help you get to 5000! If I won I would love the scrapbook/card kit. I first found you through a Scrapinar you did for Lain Ehman. Then I have bought your 2013 and 2014 sketch books. And I've also done your stencil class! 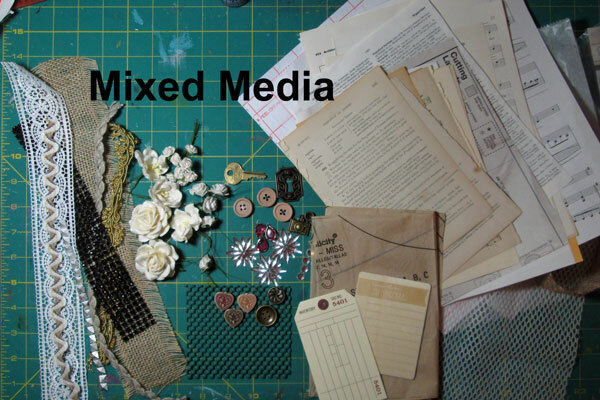 I would like to try the mixed media. I follow your blog and subscribe to your news letter. I just subscribed to youtube. Thank you for all of your FUN Hard work you do for us. I have learned a lot from you. F.U.N. Hi, I would like to use the traditional scrapbook kit. I love to keep up on your youtube channel. I love all your videos. Hi Lisa-I just subscribed to your channel last week :) as for your questions, (1) I would like the scrapbook/card kit and (2) I receive your newsletter via email, then I click on the link to YT when I have a chance to watch. Thanks for the chance to win, have a Happy New Year! I love your videos and am subscribed to your newsletter and weekly video. I get so much inspiration from the yearly sketches , well worth the $8.00. I have both the 2013 and 2014 edition of sketches and now looking forward to the 2015 one. You are always so kind with quick replies when I have questions, thanks. Your hard work makes my scrapbook layouts easy. My favorite give away is the Scrapbook/card making kit. Have a safe and healthy 2016. I would choose the scrapbook/card kit and my favourite way to follow you is through YouTube (love your process videos! ), but I also follow your blog and receive your newsletter. Lisa, I think I'd go for the mixed media kit; why, I don't know since I don't really do mixed media but it looks interesting! I usually click through to your blog from the SNY message board we are both members of. I've only just gotten into videos and look forward to catching up on your older ones while following your newer ones in 2016. 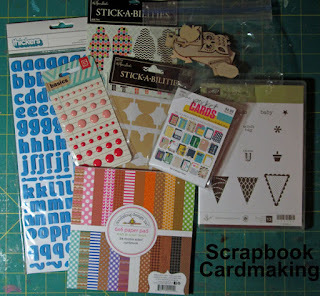 I would love the scrapbooking/card making kit. I found you on Facebook and I'm not sure how I found out about you. I likely searched for a specific project or haul and your channel came up and I ended up subscribing. Great prizes. Would like the scrapbook kit and i follow You Tube and newsletter. WOW, 5000 subscribers, awesome accomplishment Lisa! I truly enjoy your videos. I found you on YOUTUBE and I would love the scrapbooking/card making bundle the best as that is my most favorable past-time. Congrats on your work and thank you for sharing your passions and experience with everyone!!! BTW Happy New Year! Congrats on reaching 5,000! That's a big milestone, how exciting! I'd love to win the mixed media prize! So wonderful! I follow you on YouTube, I get notifications for your videos. Wow, you're almost there!!! I love the scrapbooking/card making kit. I just subscribed to your youtube channel through twopeas, and now I'm going to check out the blog based on a link from there. Good luck with your 5000. I would like the scrapbooking/card making kit. I follow you on YouTube. Thanks for the chance to win! Hi Lisa! I have been a subscriber to you on youtube for ages. I am a card maker and really enjoy your process of making your pages. Happy New Year! I am subscribed to you on youtube since before and love opening your blog. I also liked your page on Facebook. If I win I would like the mix media. I do not have a twitter account but the outers oh yea, have for awhile. love your talent. thanks for sharing. If I should win I would like the scrapbook prize. I am a youtube subscriber. I love your videos. You are very talented. Thank you. I would like the scrapbook/card kit. I am subscribed on You Tube and facebook. I have also signed up to receive your newsletter to hopefully gain some knowledge and have some fun! thank you so much! if i won i would like either kit! however would probably like to play with the mixed media kit first because i am just starting to try that. i follow on youtube and also on facebook and on this blog. your videos are great! Hello, I am a subscriber on youtube, & if I were to win, IF love the scrapbooking lot. Thank you for a chance. Congrats on being so close to 5000! I follow you on YouTube ... I am a subscriber & enjoy your videos. If I win, I would love the scrapbook/card kit! Thank you for the chance to win! Hi Lisa, here's hoping you reach your goal of 5,000 subscribers!! I would love the card making kit. I just found you through ACOT and plan on watching your you tube videos. I would love the scrapbook/card kit.. I am subscriber to your you tube..
Dear Lisa, thanks for the fun giveaway chance and congrats to 5,000 subbers (almost). Both prizes are equally great. Being both a card maker and one who also enjoys mixed media, I can't decide. Both prizes would be wonderfull. I found you by chance on youtube and sunscribed right away. I often read the blogpost as well. If I won I would like the scrapbook/card kit. I just followed you here from 2peas and have subscribed to your channel. I'm looking forward to viewing your videos. I have neglected my scrapbooking the last 5 years or so and need to get back at it. I've really missed it. Hmm- both kits are great, but I'd go with the scrapbook/card kit one. i like the idea of mixed media projects, but mine always end up as messy and not artistic at all. I prefer subbing to a youtube channel so that when i want something to watch I can go to youtube and choose from my list right there. Then I can watch and work at the same time. CONRATS Lisa on making it to 5000 subscribers! What a great milestone to reach. And thank you for doing such a great giveaway. If I would win, I would pick the scrapbook/card kit because that is so me. LOL. As far as how I hear about your videos..well, let's see: Back in the day at 2Peas, youtube subscriber, newsletter subscriber, and of course the BEST of ALL- Peepland! Have a blessed and safe New Year. And CONGRATS is spelled with a G, not the way I wrote it...LOL! If I won, I'd pick the Mixed Media kit. I am a visual learner, so your YouTube channel would be my number one way to stay up to date on your projects. I saw your post on the message board at ACOT. I am now a follower of yours on fb and you tube. Can't wait to see all your creative projects next year. I would be happy with either prize. Haven't done a lot with mixed media, but I love all the little trinkets plus it would be something new to learn. Happy New Years too!!! Nifty giveaway. I would like to win the scrapbooking kit. I subscribe on Youtube. Love your videos. I just subscribed on YouTube... 4,993 subscribers... almost there! If I won, I would like the cardmaking kit. Good luck getting to 5K!